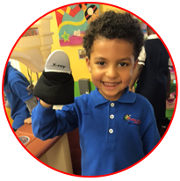 Our mission is to create a challenging learning environment that encourages high expectations for success through development-appropriate instruction that allows for individual differences and learning styles. LSA promotes a safe, orderly, caring, and supportive environment. Each student's self esteem is fostered by positive reinforcement and relationships with students and staff. We strive to have our parents, teachers, and community members actively involved in our student's learning. 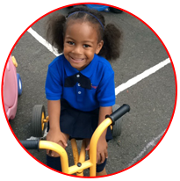 Our vision is to be the premiere early learning center in NE Philadelphia and surrounding areas that provides a loving, nurturing, and stimulating environment where children will achieve academic, emotional, and social growth, and thereby, realize their full potential. We are committed to providing a quality program that is educational, child friendly, safe, and creative. We believe that each child possesses unique gifts, talents and abilities and it is our goal to draw out the best in each student. We strive to provide a well-planned, age appropriate educational program that meets developmental needs at age appropriate levels. We desire for each child to have the opportunities to dream, learn, and grow. We strive to provide an atmosphere to help children develop positive self-esteem. We believe children are important and we work toward enhancing their different strengths. Little Scholars Academy strives to offer a program that will support and involve all parents in the education of their children. As a part of Keystone Stars, a quality improvement program, we are committed to implanting the quality improvement standards. All LSA centers participate in the Keystone STARS Certification Program, designed to evaluate and improve the quality of child care. The program offers Standards, Training, Assistance, Resources and Support (STARS) to child care providers and recognizes the continuous quality improvement efforts of early learning programs in Pennsylvania. Through our affiliation with SERK, the regional division of PA Keys, LSA has access to a STARS specialist for assistance with training and education. LSA is also affiliated with Success by Six, a national program administered locally by the United Way to help ensure children are on-target developmentally by age six. • Assign families a personal identification number (PIN). We also have 24-hour camera surveillance. • Require visitors to identify themselves and sign in before entering a LSA Center. • Update an emergency contact form for your child every six months. Here, parents can identify family members or family friends who are authorized to pick up your child. We require ID before we release a child to authorized friends and family members. • Post teachers at strategic locations on each playground at all times while children are at play to provide supervision. • Require each teacher to successfully pass CPR, First Aid and fire safety training. • Hold regular fire and evacuation drills at every Center and post emergency evacuation plans in each Center’s classrooms. • Ensure that our playground equipment is fenced in, age-appropriate and meets the standards of the Consumer Product Safety Commission. • Take weather and temperature into consideration before allowing children to play outside. • Keep regularly updated medical and allergy logs easily accessible at each Center for every child in our care.